This dreamy co-ord set is a match made in heaven. 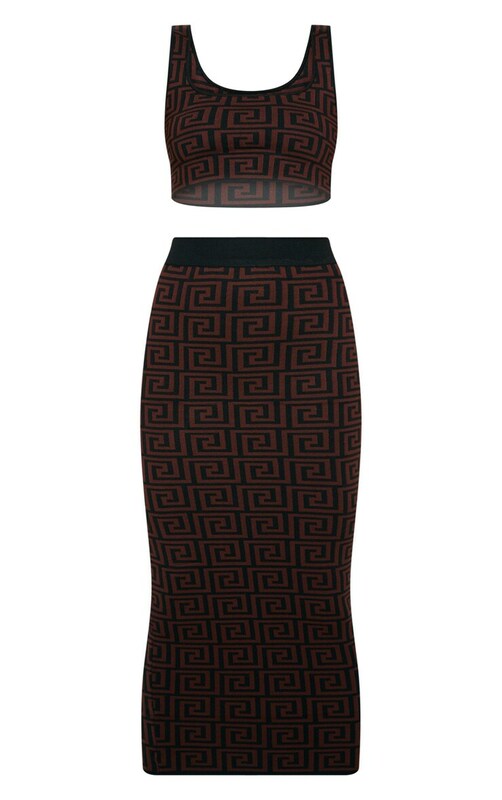 Featuring a chocolate knitted crop top, with a Greek key design and a matching figure-skimming midi skirt. Style this combo with sky-high heels and a statement clutch for a night out with the dolls.